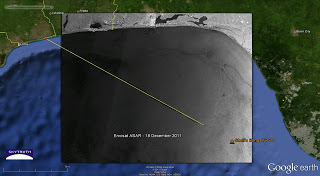 Oil Pollution off Nigeria – Other Sources? After flying journalists over the remnants of the Bonga FPSO oil spill off Nigeria,Shell pointed out that they are not the only polluters in this part of the world, and will clean up another small spill in the area not related to any of their operations. 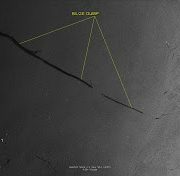 That certainly doesn’t excuse their (much larger) mess but they are correct: satellite images of the west coast of Africa, like some other coastal regions around the world, routinely show signs of oil pollution from other sources, especially bilge-dumping by vessels large and small. We don’t know if it’s legal in this area; it is not legal in US or Canadian waters. 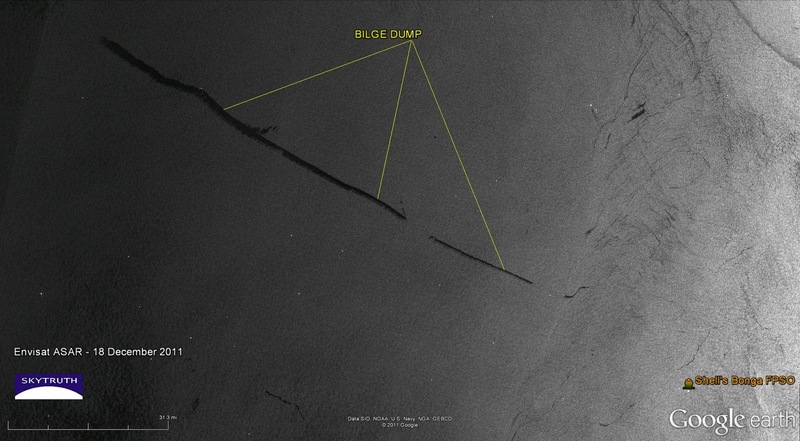 Radar satellite imagery is an excellent tool for detecting bilge-dumping. 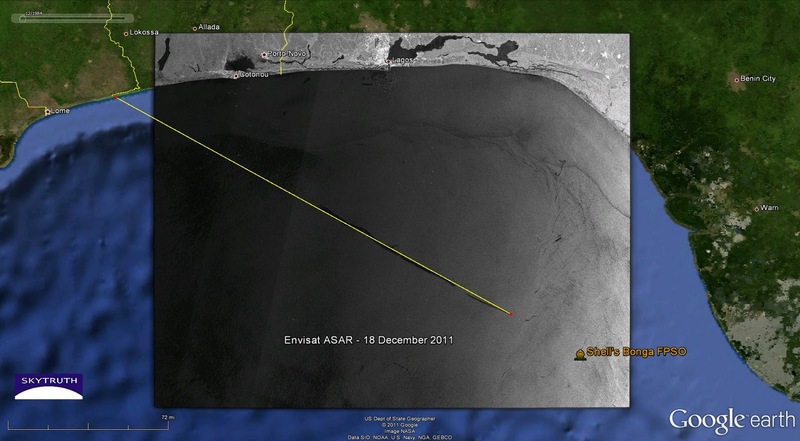 Envisat ASAR image taken December 18, 2011 showing oily bilge dump from a passing vessel northwest of the Bonga oil field off Nigeria. Image courtesy European Space Agency. 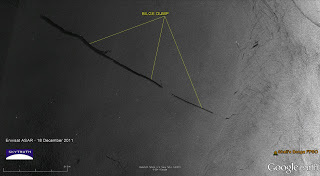 Projecting backward along bilge slick to shore. Envisat ASAR image courtesy European Space Agency. Here’s what it looks like in Google Maps. Does anyone have any information about this facility? https://skytruth.org/wp-content/uploads/2011/12/SkyTruth_Nigeria_bilge_ASAR_18dec2011.jpg 176 320 John Amos /wp-content/uploads/2016/08/test_logo.png John Amos2011-12-27 21:04:002019-02-21 09:45:36Oil Pollution off Nigeria - Other Sources? It's a treatment plant for phosphates run by the OTP (Office Togolais des Phospahtes), a government-owned facility not far from the Dagbati phosphate mines. There appear to be a railroad line and some kind of road leading to the area. Not sure what the ship was carrying, but it is possible it picked up its cargo at the location.